Glasgow synth pop band CHVRCHES don’t even have a full album out yet; The Bones Of What You Believe is out Sept. 24 in the U.S. on Glassnote. But based on impossible-to-get-in shows at this year’s South By Southwest, and thanks to the strength of an EP and a couple singles — the indie pop jam of the year, so far, “Recover,” especially — it’s become one of the most buzzed-about young acts of 2013. After finally catching one of the band’s recent New York shows at Music Hall of Williamsburg, it’s clear that hype is justified. CHVRCHES’ dense electronic dance songs are mostly built around serrated computerized beats, layered synthesizers and chirping sampled voices created by Iain Cook and Martin Doherty, all of which propel Lauren Mayberry’s cute, yet commanding vocals that flutter and soars above the mix like embers in the night air. And with clean and buyoant pop hooks, CHVRCHES crafts the kind of memorable choruses on songs like “The Mother We Share” and “Gun” that can fill the club, and later, find yourself singing along to when no one is looking. Yes, CHVRCHES is a young band. 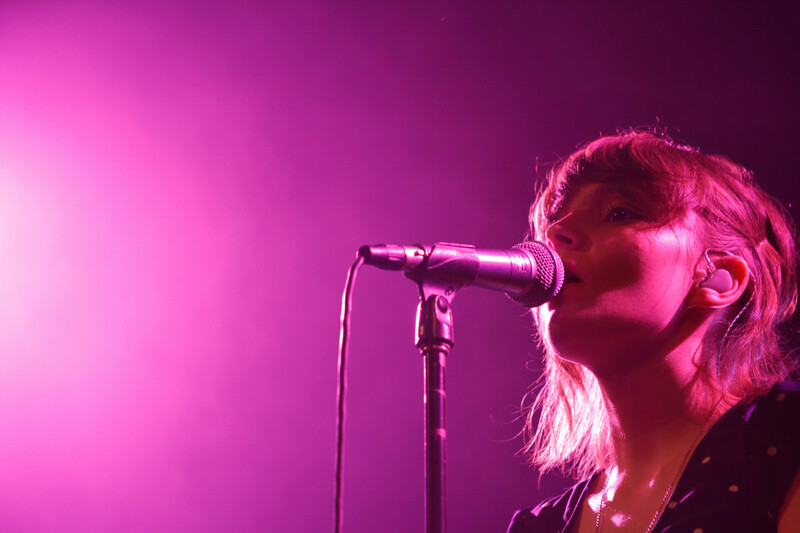 But throughout an incredibly polished 12-song set — where they debuted mostly new songs from the upcoming album that few, if anyone in the crowd had even heard, and then played a perfectly chosen Prince cover as an encore — CHVRCHES showed a confidence, both musically and in stage presence that’s rare at this stage in any group’s arc. This is a promising band that seems to have arrived fully-formed, which makes it all the more enticing to watch where it will go next. 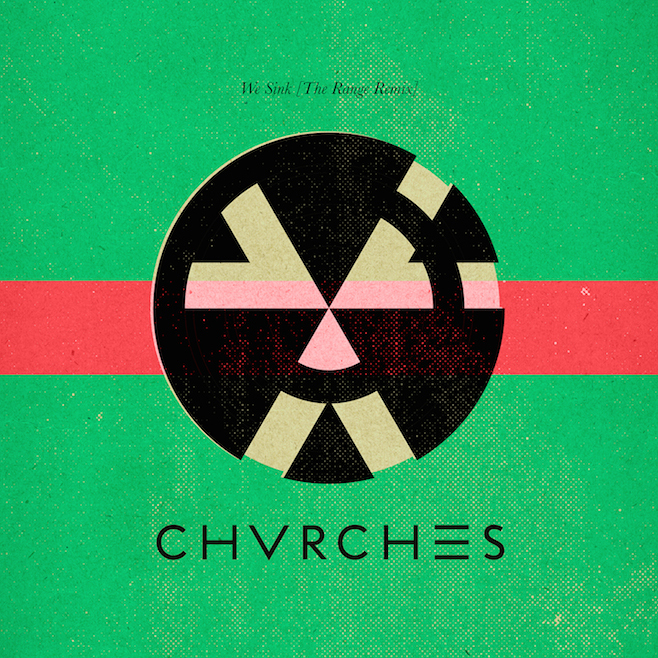 Beyond the music, it’s CHVRCHES’ graphic design sense that I love about the group. For me, all the elements work: the color palette; the sleek typography of the band’s logo juxtaposed with the smaller serif used for the titles; and the basic geometric shapes. And when viewed together as a whole, all these covers really project a crisp, evocative and simple visual aesthetic for this first grouping of songs the band is putting out. The liner notes for the Recover EP credits Amy Burrows as the art designer, but not sure if it’s only her coming up with all these these covers. Regardless, I really love them, and I’m looking forward to not only hearing more songs, but seeing more album art from one of my favorite new bands of the year.